Sylvia Brownrigg is the author of six novels including Pages for You and The Delivery Room, and her work has been included in the New York Times' Notable Books and the LA Times' Best Books of the Year. She has written for the New York Times, the Guardian and the TLS, and has taught at the American University in Paris. Her novel for children, Kepler's Dream (published under the name Juliet Bell), has been made into a film. She lives in Berkeley, California with her family, and continues to spend time in London. In her latest novel, Pages for Her, Alice Sebold Flannery and Anne Arden are reunited at a writers' conference after a twenty year interval. Though their lives have taken them in different and unexpected directions, the pull between them proves irresistible. 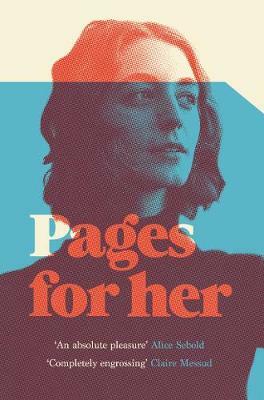 Elegant, clever, witty and sensual, Pages for Her is a novel about love, memory and what it is to be a woman, a wife and a mother. Below, exclusively for Foyles, Sarah Watkins chats to Sylvia about the bewilderment new mothers can often feel, defining ourselves in relation to the people we love and whether female only environments/support networks are still relevant and necessary. Pages for Her reads beautifully as a stand-alone novel but also picks up on the lives of characters from your earlier novel Pages for You. Did you always know you would go back to them? The characters in Pages for You were very vivid to me as I wrote that novel, and have seemed alive to many readers over the years: the story poured out of me at a transitional time in my own life, and I think that helps explain its intensity. I did not conceive of that book imagining a sequel, but readers have often wondered what happened later to Flannery and Anne, and the more I was asked that question the more I began to wonder, myself. After a while I knew that eventually I would have to write about Flannery and Anne again to find out where they went, and what they continued to mean to each other even from a distance. Writing Pages for Her was the way to find out. There is a sentence very early on in the book where Flannery is described as having ‘become heavy-blooded with an unnamed despondency these recent years’. This resonated deeply with me; are women increasingly empowered to identify and rectify the sources of their despondency? I love this question, and thank you for picking out that sentence. I wrote it from the heart, without considering all its implications, but you nicely notice the word ‘unnamed’: for Flannery, at the novel’s start, she can’t source her heavy spirit, she simply feels it. She is not yet equipped to identify and fix what is slowing her down. For her and other new-ish mothers, I think this can be a function of the bewilderment women often feel in those early years, when they are reorienting themselves after an abrupt shift in their own independence. For Flannery, the love she feels for her family is mixed with the challenges of conflict and frustration, and during the story, in re- encountering someone from her earlier life, she becomes better able to understand this. Amongst other things, Flannery’s intellectual life has been stifled by her role in a traditional family set-up, a role I don’t think she planned to take. Is it possible to rehabilitate the traditional family into a structure that supports everyone? I have close friends, both men and women, who have created loving families that allow for both parents to work and flourish. I’m inspired and consoled by their example. I also know people who have embarked on parenting in less traditional families, who find innovative ways to support each other’s work. In this novel, I’m not trying to generalize about the impossibility of balancing motherhood’s responsibilities with creative or intellectual life, but rather to give a portrait of a character who is in a situation where she does not have that balance. Flannery’s confusion in part is that both she and her spouse feel they should be in a fairly equal partnership, but their marriage manifestly isn’t. I believe this is not uncommon, that traditional habits or roles take over, even with people who intend to do things differently. People often embark on new adventures or take new turnings in their lives with a fundamental optimism — it may be rocky, but probably it will all work out! — and Flannery realises, several years in, that her optimism about her marriage was misplaced. 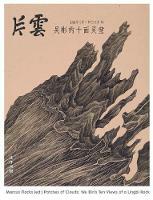 The novel traces her beginning to face this reality, and to imagine changing it. Flannery’s husband Charles is a larger than life character, a sun who keeps everyone in orbit around him. Despite being awful at times he is compelling – what was he like to write? When I had the physical sense of Charles, it was easier to write him — I could hear his big laugh, and imagine what a great storyteller he is, and his being used to taking up a lot of space. I suppose we have all known similar charismatic characters: lively, funny, (sometimes) volatile people who draw other people to them. They don’t always leave a lot of oxygen for others, but people feel the warmth and charge in being around them, and I wanted to capture both sides of that. The book shows us who Flannery is through the relationships she has with people: her husband, her daughter, her ex-lover and friend, for example. The relationships are a stimulus to her work too. How crucial are the tug and pull of these interactions to making Flannery, and the rest of us, who we are? The feminist in me supposes that as women we are especially inclined to define ourselves in relation to the people we love: our partners, children, friends. Men are still more encouraged to forge an individual path in forming their identity. That said, if you look at great male novelists, from Tolstoy to Rohinton Mistry, they will also be placing their characters in the context of the families who shape them. I think it is true, even today, that men measure themselves less by the success of their intimate relations. But that is slowly changing, as is women’s capacity to understand who we are separately from the people closest to us. Anne too has several pivotal relationships in her life. I was struck by that between sisters and the friction and support contained within. Does this stem from Pages for You, or is Tricia a new character? We knew that Anne had a sister, but one of the great pleasures in Pages for Her was fleshing out that relation only hinted at in the first novel, and seeing how the two sisters had divided their family roles. I have an older brother, not a sister, but I’ve been intrigued to see how often it is the older sibling who branches out and away from the family, while the younger stays closer to home. Anne’s self-preservation enabled her to escape and create a successful professional life far from her own upbringing; and her determination to do that contributed to her decision not to have children. And on the topic of sisters, sisterhood as an ideal is illustrated so well towards the end of the book, at the conference. Pages for Her strikes me as a deeply feminist novel; do you think female only environments/support networks are still relevant and necessary? Again – a great and provocative question! I do some literary journalism from time to time, and had the fun and privilege of interviewing the biographer Hermione Lee a few years ago. We had an interesting conversation about this issue: the important place that ‘women only’ bookshops or publishers had in the past, along with a sense that the need for such enclaves may (happily) have diminished, as women make greater inroads professionally. The fact is, men often gather in ‘men only’ groups of friends or colleagues as well, but tend not to do it consciously as it feels to them, I think, like ‘the norm’. I had a great writing professor at Johns Hopkins who handed out, on the first day of class, a list of all the fiction he felt it was essential for us to read; on a list of say 40 writers, 5 were women. These mores are changing, but the work isn’t over, and until it is, women writers will probably have particular insights to share with each other, from time to time. I read a lot of ambivalence about motherhood in Pages for Her, both overt and more quietly in its impact on women when they still perform by far the greater share of the emotional labour and parenting. Was this a conscious theme in the book, or am I bringing my own biases to bear? There is definitely an ambivalence toward motherhood in the novel as a whole: one character positively wanted to become a mother, and has, while the other has positively chosen a life without children. In this era, in Anglo-American culture, I think it becomes a deep difference between women (men too, though less obviously), whether or not they choose parenthood. I wanted to explore, in this novel, the relation between two people who have loved each other and discover that they still do love each other — and who fall on either side of this divide, this choice in life. It is essential to Flannery and Anne that they comprehend and respect the other’s choice. Do you think you will revisit Flannery and Anne’s story again, or are we to imagine our own future for them? It’s funny — I am just at the beginning of touring for this book, and can see (have already seen) that this question is going to arise. To be honest, I hadn’t given it a minute’s thought until I was bringing Pages for Her into the wider world; but now, as after the publication of Pages for You, I can only encourage readers to embark on their own imaginative stories about these two women, until I decide, in time, whether to discover their ongoing story myself, in another novel.